but I do seem to be chasing my tail at times! Anyhoo, enough of my prattle, on we go! It's Thursday which means it's time for my Just Inklined post! Here's what I made this week! I used my Flexmarkers & Promarkers to colour. The heart shaped button & twine are also from my stash. The sentiment was created on my PC using Sweetly Broken font. Leave a little love & I'll visit you & do the same! Beautiful card Dawn. Love the ribbon and little heart plus the lovely border punching. Such nice soft colours. Thanks for joining in our challenge this week. So pretty and girly. Lovely, clean layout. Fab card. 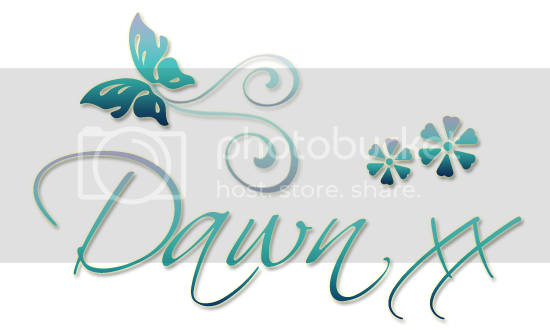 Morning Dawn, just stopped by to say "hi" and say I love this card, so pretty. 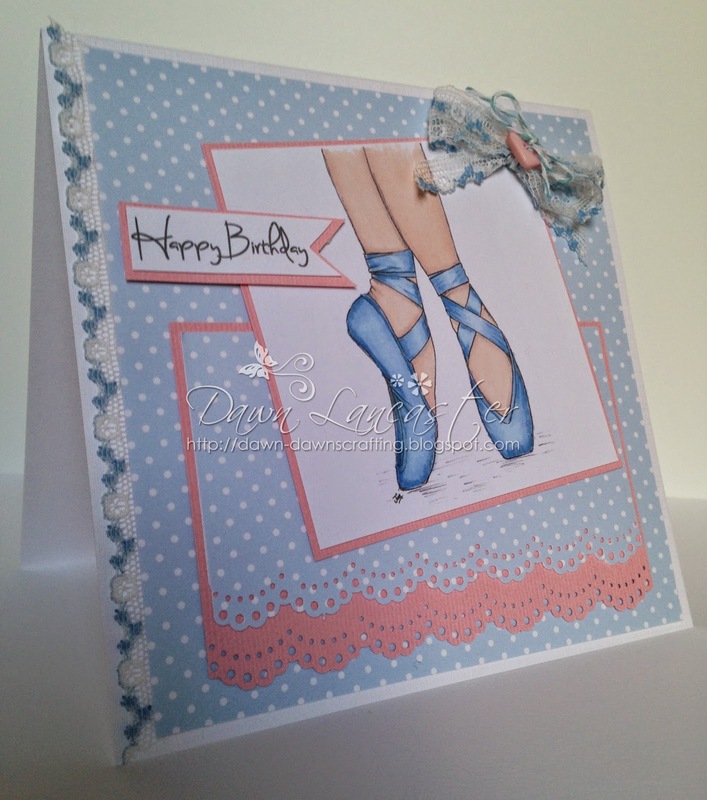 The lace down the edge of your card is lovely and just adds that finishing touch. This is fabulous Dawn, love the ballet pumps and embellishments. What a Beauty Dawn. I love your ballet shoes, coloured perfectly. Such a pretty design. Love the ribbon both down the edge and for the bow. Thanks for getting the right list of Bs to enter our challenge! Beautiful card Dawn! Love the image! Stop chasing your tail! Hi Dawn! Very cute! Love the layout. :) Thank you for sharing on this weeks Artistry Challenge! 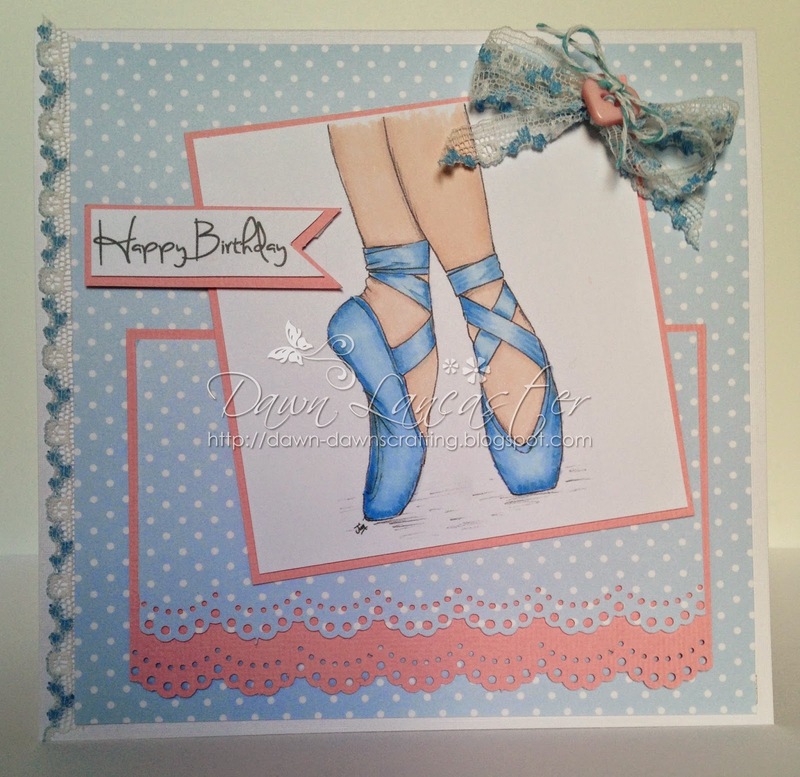 This is such a pretty card Dawn, I love your image and pastel colours. Wonderful card! I love the ballet shoes! Thanks for joining us this week at Just Us Girls! I love this image and have seen it before but not colored so beautifully! Thanks for joining us at Just Us Girls this week and we hope you will come back again real soon! Lovely card Dawn, your colouring is fabulous. Thank you for entering our Triple B challenge at CCM&More. Gorgeously CAS, Dawn! Love the border pieces and that lace trim is magnificent. Oh boy, I really love your ballet slippers and the ribbon you used for the border and bow is just gorgeous! Hope you'll visit sometime. See you soon! Your creation is lovely..Thank you for sharing with us at Penny,s Paper-Crafty. And good luck. A lovely image which had been coloured beautifully and your colour combo of pink and blue is really nice. Thanks for joining us at Crafty Cardmakers and More. Sally D.x. Hi Dawn, I just popped back to say thank you for joining us at Ooh La La Creations. Lovely card. Thanks for joining us at The Crazy Challenges.